thought leader [thawt lee-der] n.
1. a go-to voice in an industry or profession; someone who shares forward-thinking viewpoints; a person whose perspective on a subject is taken as authoritative and influential. Thought leadership helps you to establish a reputation, earn trust, and solidify relationships that can grow your business and your career. It also keeps you in front of more people — an invaluable advantage. Make your profile as compelling and rich as possible. Your first impression starts with your photo, so invest in a quality headshot from a professional photographer. Take advantage of the header background graphic, too. Most thought leaders use a photo of themselves at a speaking engagement. Do you have a picture of yourself participating on a conference panel, giving a keynote, or leading a meeting? An image like that at the top of your profile provides immediate credibility. The profile headline is the place to showcase a slogan for your personal brand, so maximize the impact — include keywords plus authority words like “speaker” or “author.” Consider if you want to refer to yourself as an “expert” or “visionary.” People search on these terms, but if you aren’t comfortable with it, don’t say it. Your summary, experience, and accomplishments give you more opportunities to position yourself as a thought leader. Include significant honors, awards, publications, patents, and certifications. If you have multiple accolades and accomplishments, decide whether you want to include all of them (which makes your profile more keyword-rich) or limit the list to only the most impressive or most recent. Keywords are important throughout your profile, but especially in the top sections because keywords placed higher in your profile also rank higher in LinkedIn’s search algorithm. You have 120 characters in your headline and 2,000 in your summary — make the most of this valuable real estate by maximizing the keywords that your people and prospects will search for. You can demonstrate expertise by curating and sharing content, but if you want to be a thought leader, you need to do more. Thought leaders add to the store of knowledge in the universe by contributing their own insights. 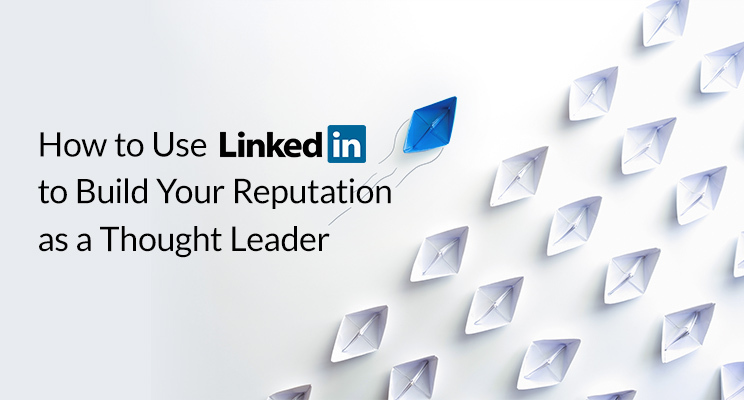 Publishing articles on LinkedIn allows you to do just that, and in a way that gets your ideas in front of your network and others you want to impress. The easiest way to create content is to make a habit of repurposing material. A speech you recently gave can turn into a blog post or a video. A podcast can be cut into segments. 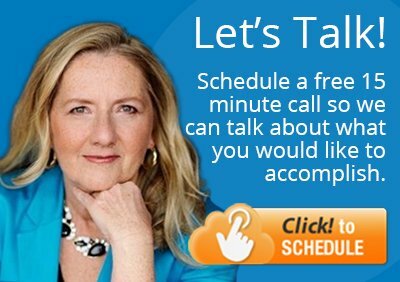 A webinar can become a series of articles. Remember: All this media should live on your LinkedIn profile. You can add documents, photos, links, videos, and presentations to different sections of your profile — another easy way to make your message more visible. While much of thought leadership is about your ideas and viewpoints, engaging with other thought leaders is important, too. Scroll through LinkedIn and Twitter to read what people are saying and respond thoughtfully. Commenting, posing questions, and weighing in on timely news or cutting-edge issues can start interesting conversations that bring your ideas greater prominence and boost your reputation. 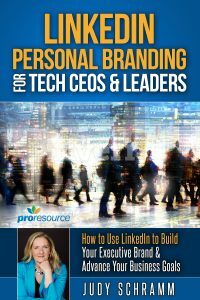 Being recognized as a thought leader and go-to expert in your field is an impressive achievement that can open doors and make a significant difference for your business and career. Carefully crafting what you want to say and making yourself visible will make you agile and relevant — and ready for any opportunity that comes your way.